Have you ever heard of an Australian Retriever? Yes, it’s just what it sounds like: it’s the cross of the Australian Shepherd (Aussie) and the Golden Retriever. Though not as well-known as its parent breeds, the Australian Shepherd Golden Retriever mix has all the makings of an excellent family dog: it’s friendly and easygoing, with a playful nature. Let me tell you more about this fun-loving hybrid. 1. The Australian Retriever looks like the perfect mix of the Australian Shepherd and the Golden Retriever. 2. The Golden Retriever Australian Shepherd mix gets along with everyone. 3. The Australian Shepherd-Golden Retriever mix has both herding and hunting instincts. 4. 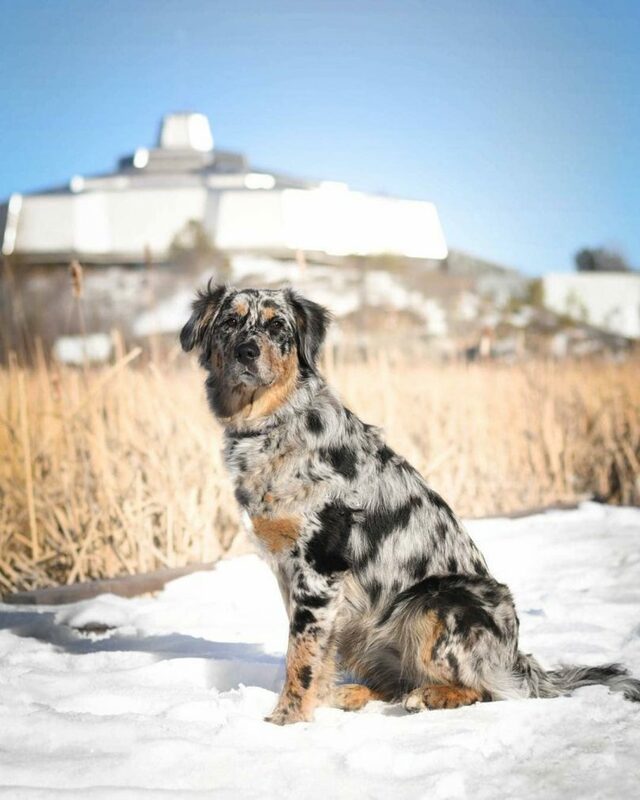 The Aussie Golden mix will look at you as a pack leader. 5. The Golden Retriever Aussie mix won’t need you to fuss over him – except during grooming. 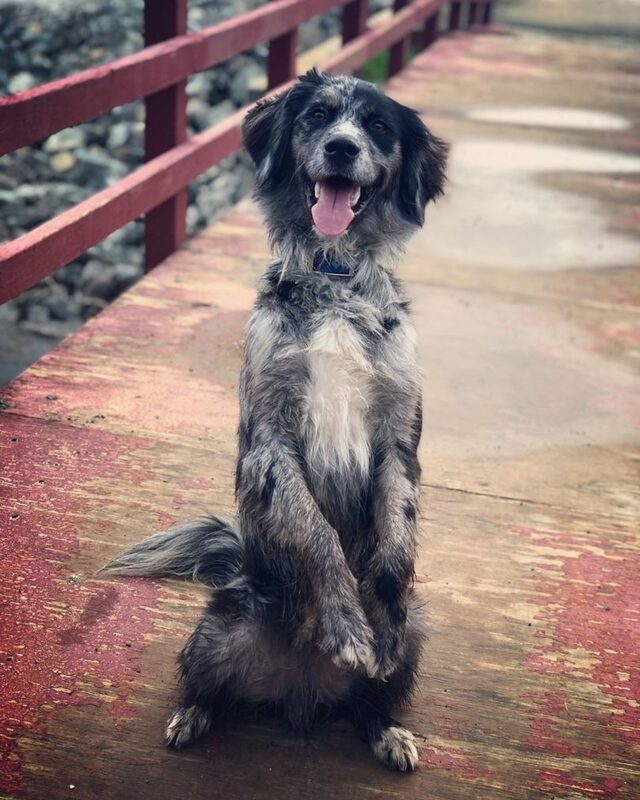 What’s the proper diet for an Australian Shepherd Golden Retriever mix? Are there any health issues that affect the Golden Retriever Aussie hybrid? Where can I get this awesome dog? Imagine a dog with the sweet, happy face of a Golden Retriever and the thick, multi-color coat of the Aussie. That’s what many Australian Shepherd Golden Retriever mixes look like. These crossbreeds grow up to be large dogs, reaching up to 19 to 23 inches (48 to 58 cm) in height and weighing 30 to 60 pounds (13 to 27 kg). They have well-built bodies and broad heads with expressive eyes, a round black nose, and dropped ears. 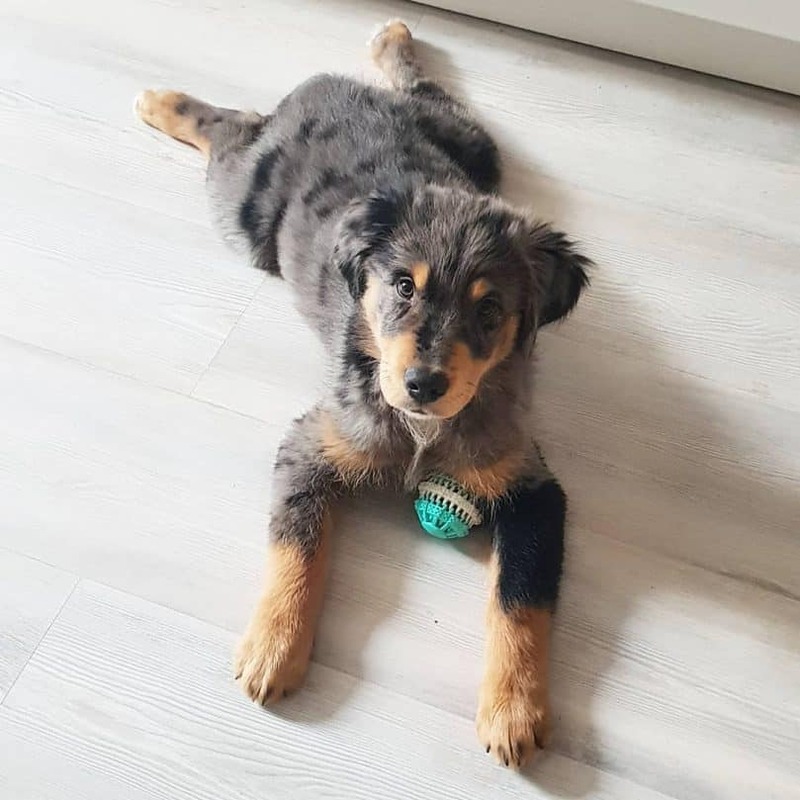 Its Aussie parentage shines through in the Australian Shepherd Golden Retriever’s fur, which may come in black, brindle, brown, blonde, and merle. Some of these hybrids will favor their Golden Retriever side and have solidly colored golden fur. The Australian Retriever inherits the double-layer coat of its parent breeds. More often than not, its dense layers of hair have a coarse, slightly wavy texture. Kids, other dogs, strangers on the street – the Aussie Golden mix will be friendly to everyone it encounters. Having inherited its parents’ devoted, loving traits, the Australian Retriever is one of the least aggressive dogs you’ll ever meet. This crossbreed is affectionate and loving, and it tends to quickly form bonds with its family. It’s patient even with young kids, and it rarely barks; all these qualities make the Australian Retriever an excellent choice for a family dog. 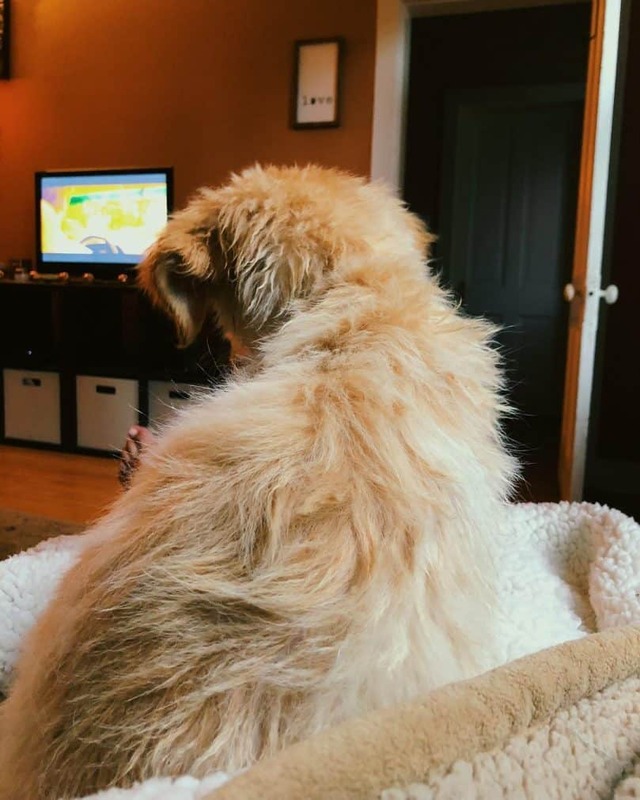 The Australian Shepherd Golden Retriever mix will be so attached to his human pack that the only time he’ll bark is when he’s feeling possessive of his toys and his family. Don’t worry; this problematic behavior is something you can remove through training. The Golden Retriever-Aussie cross might be the perfect pet for you if you have young kids or other dogs at home. Both its parent breeds are working dogs, so the Australian Retriever is no couch potato. This hybrid needs 30 to 60 minutes of exercise twice a day and makes for an excellent companion for your morning or afternoon jog. Aussie and Golden Retriever crosses love to run, which they inherit from the Australian Shepherd. Of course, this strong herding instinct means that your Aussie Retriever might end up pulling or nudging you into the backyard for some playtime. Thanks to their Retriever heritage, Golden Retriever and Aussie Shepherd hybrids will love playing fetch with balls and frisbees. They also enjoy the occasional dip in the pool. And don’t worry about the weather being too hot or too cold for a walk, the Australian Shepherd-Golden Retriever mix will love being outside regardless of the climate. Because of their high energy levels, these crossbreeds thrive in homes with large yards where they can run free. You’ll want to put a fence around your yard, though. The Aussie and Golden Retriever cross may wander off your property trying to follow a scent. These hybrids need a pack leader who can provide firm, consistent guidance. They tend to behave best with strong-willed masters, so they might not be suitable for first-time dog owners. Australian Retrievers are intelligent dogs, so they easily pick up commands. Frequent training sessions, along with treats and verbal praise, will help this crossbreed adopt positive behavior. Despite its friendliness, early socialization ensures that the Golden Retriever-Australian Shepherd mix behaves properly around other dogs and family members. This crossbreed’s strong hunting and herding instincts may result in undesirable habits such as nipping and pulling. These dogs are moderate to heavy shedders. Invest in a high-quality vacuum cleaner if you want to keep your clothes, furniture, and floors free of hair. The Australian Retriever has a double coat that sheds hair all year round, with springtime being the heaviest shedding season. Brush your Aussie Golden mix at least thrice a week to remove loose hair from its top coat. Regular brushing will also ensure that the undercoat will properly grow in. Make sure that you reach all the way down to the skin to distribute the natural oils in the hair. You also want to occasionally trim the Australian Retriever’s coat to keep it at a manageable length. Trims will also help prevent tangles and mats from forming. Because of its size and active nature, the Golden Retriever-Australian Shepherd cross needs a diet that’s high in protein. Protein-rich dog food will help strengthen its muscles, bones, and joints without the risk of weight gain. The best dog food for Golden Retrievers will be ideal for Australian Retrievers, too. Two to three cups of high-quality dog food, divided into two meals throughout the day, should be enough for this crossbreed. Properly spacing meals for the Golden Retriever Australian Shepherd mix also minimizes the risk of bloat, a fatal condition that commonly affects large dogs. Like their parent breeds, Australian Retrievers are prone to hip and elbow dysplasia. Eye conditions such as cataracts and colobomas can also affect these hybrid dogs. Golden Retrievers are known for having some of the highest cancer rates, so the Golden Retriever Australian Shepherd mix may inherit the same vulnerability to the serious condition. The crossbreed may also inherit health problems that plague the Aussie, like Multiple Drug Sensitivity or MDS. MDS can cause fatal reactions to various drugs administered by the vet. The good news is that early screening can help detect most health problems in Australian Retriever puppies. As long as it grows up healthy, an Australian Shepherd Golden Retriever mix can enjoy a lifespan of 12 to 15 years. You can also try your luck with breeders of Golden Retrievers and Australian Shepherds. Sometimes, these breeders also produce mixed puppies. If you’d rather not deal with housebreaking a puppy, you can also contact rescues and shelters to see if they have an Australian Retriever for adoption or rescue. Australian Shepherd Golden Retriever mixes may not be as popular as its parent breeds, but we’re sure that you’ll love these hybrids’ outgoing and affectionate personality. These dogs are devoted to their families and are especially patient with youngsters. The Golden Retriever and Australian Shepherd crossbreed needs an owner who can keep up with its energy levels and be a pack leader. The dog’s moderate to heavy shedding will also trigger allergies to dander. What do you think about the Australian Retriever so far? Tell us in the comments!